Professor P.E. 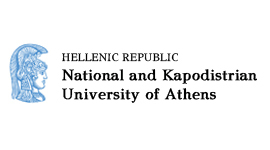 Petrakis serves as Director of the Sector of International Economics and Development of the Department of Economics of the National and Kapodistrian University of Athens, since 2009. He served as a Director of that sector for the period 1998-2002 too. The Sector of International Economics and Development, of the Department of Economics of the NKUA, focuses on issues of economic growth, economic development and international economics. The members of the division are preoccupied with economic policy issues of the Greek and international economy. Beyond the standard theoretical models of economic growth, the research activities of the division include the influence of technological change and the competiveness of the economy on economic growth and development. The division staff is, also, preoccupied with the political, social and economic issues that arise with economic development (i.e. entrepreneurship, European policy, etc.). Specific research interest is devoted to the formation and utilization of human capital and its contribution to economic growth and development. Division research activities include international trade, foreign investment and their relation to economic growth and development, while special research interest is devoted to the convergence of the developing and developed nations and the growth potential of the Greek economy compared to EU and OECD country members.